Since 1922, Mt. 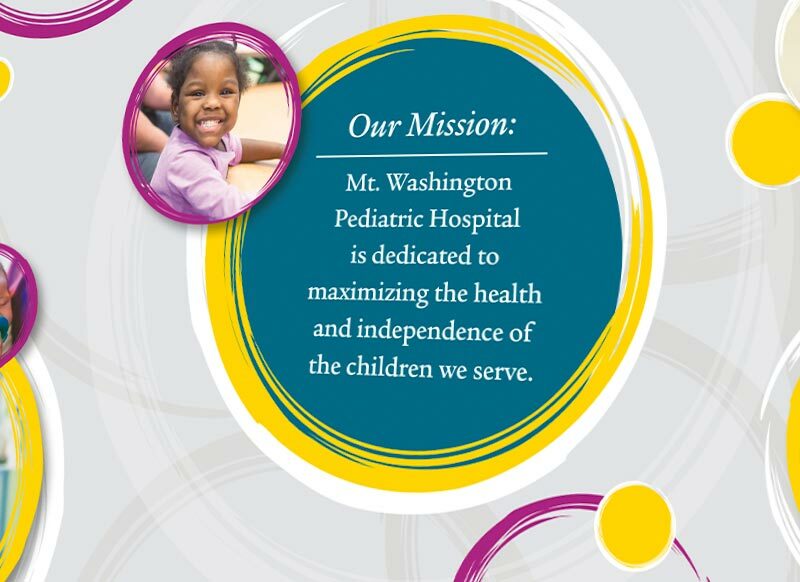 Washington Pediatric Hospital (MWPH) has been a mainstay in providing specialty pediatric care in the Baltimore community. The hospital provides both inpatient and outpatient care through more than 20 specialized clinics, studies, and programs. 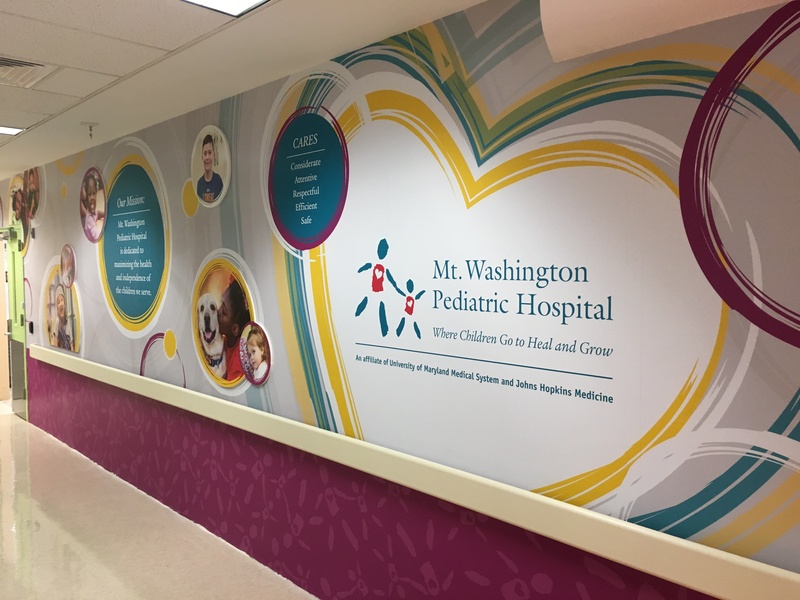 MWPH often relies on Graphcom as their marketing partner, including when the hospital wanted to design and install graphics for their on-site cafe wall. 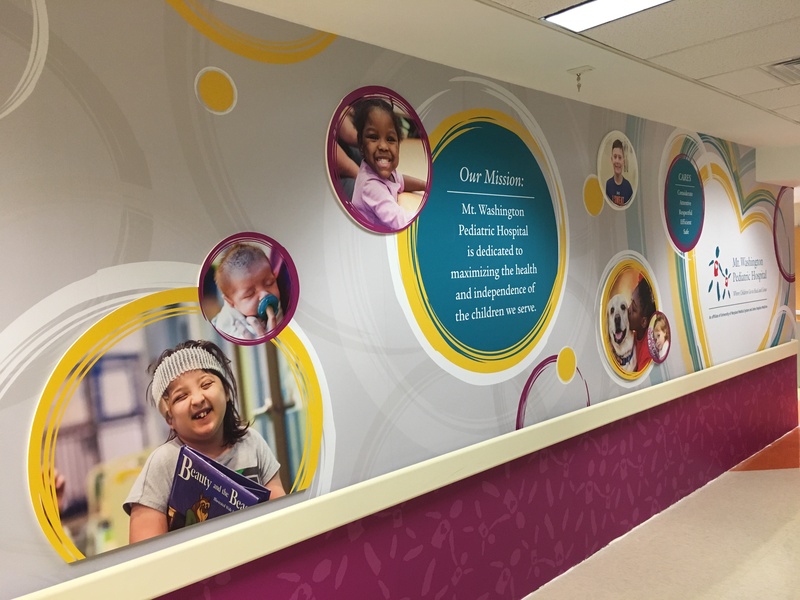 We created and installed all signage, viewable to both staff and visitors in the hospital’s cafeteria.